Cool, calm, and collected are words that describe Chad Athey, a stationary engineer at UIS and the university's Employee of the Month for November 2013. His nominator commends Chad for doing such a great job of keeping operational "the creature comforts in campus buildings." 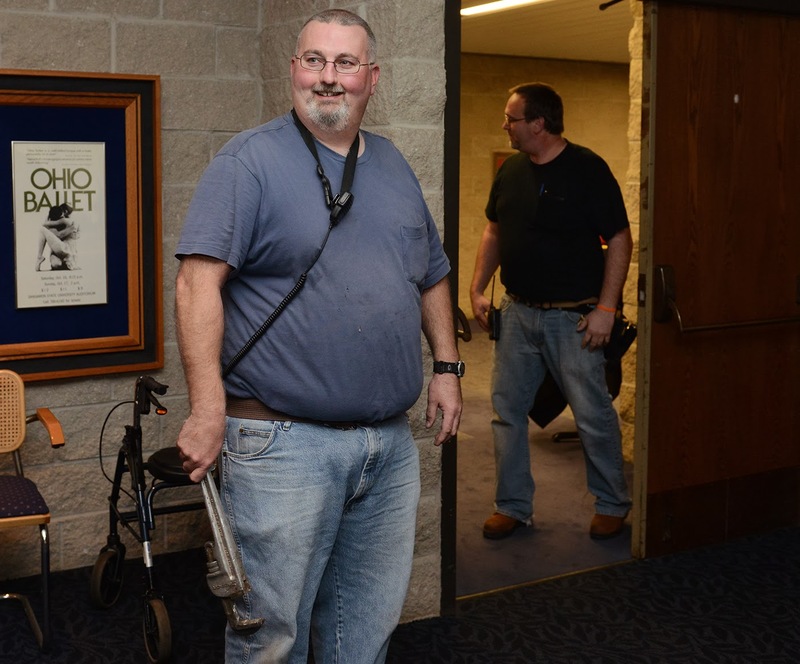 He has tended to ceiling leaks, sewer pipe spills, and room temperature issues, all while keeping an upbeat and can-do outlook that inspires others, including his nominator. "In a time where customer service is going the way of the proverbial Dodo bird, it is refreshing to see him in action each and every day," his nominator writes. Not only does he work hard and demonstrates a good attitude while doing it, he also does it with minimum supervision. "Chad is a person that all supervisors would like to have on their team. He is a team player and can get it done," his supervisor writes.